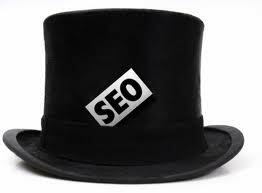 SEO Black Hats: What should we do with them? This is a very interesting video that I stumbled upon in Youtube. The question is: “What should we do with the Black Hats?” Should we kick them out? Hate them? Love them? Give them a job? Tweets In Google Search Results? The term black hat gives the idea of link cloaking, keyword stuffing in reality us black hatters do white hat seo method in an automated/ bulk way, we don’t manually create links, we use tools to build them in bulk. Black Hatters are more open to share what is working, i think white hat seo’s tend to kept their method closer to their chest where as black hatters share. I watched this video after reading your related post and I was really surprised that some are praising BH. I agree with some of the speakers that we should learn from them and apply their techniques in the good way. I never thought there is something good with BH. Still I am with the WH. It may have some good effects but for me its techniques are not worth it in the long run.